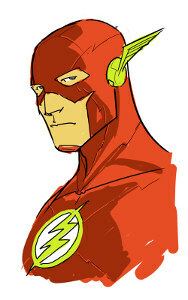 This entry was posted in Flash News and tagged Dan Didio, Francis Manapul, Solicitations, Zero on June 8, 2012 by Kelson. First off, sorry for the lack of updates last week. Sometimes, life gets too busy to blog. There’s been a lot of talk about Wally West since C2E2 panels brought up the usual non-answers, and a Bleeding Cool reporter accidentally asked Dan Didio about Wally. He explained that fans had grown up with Wally West, seen him get married and have children and with the de-aging of Barry Allen, it would cheat those fans who grew to love Wally to de-age him as well. As a justification, it’s a bit disingenuous. “We shouldn’t do to Wally what we did to Barry” kind of suggests that maybe they shouldn’t have done it to Barry either. And while there’s something to “We’re making your favorite character go away because we know you wouldn’t like what we do with him,” it seems like it would rank right up there with “I don’t want to ruin our friendship by dating you” on phrases that people like to hear. 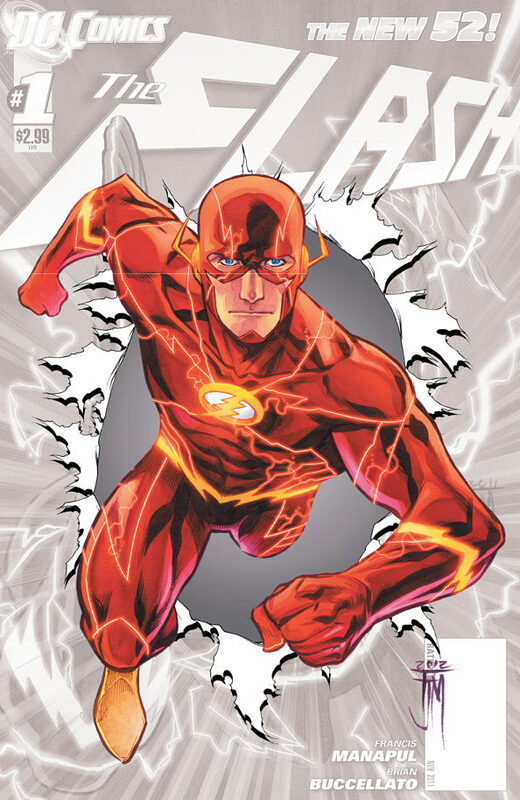 At Boston Comic Con, Francis Manapul mentioned a rejected a Wally cameo that he tried to put into an early issue of the New 52 Flash. He doesn’t say how Wally would have appeared, and frankly, that’s a problem in itself. A few months ago when I met Brian Buccellato at a signing, he pointed out that having Barry Allen young and Bart Allen as Kid Flash kind of squeezes out Wally: Wally should be somewhere between Barry and Bart. But if Barry never died, and Bart’s already Kid Flash, where does that leave Wally? There’s just no room for Wally West in the DCnU. 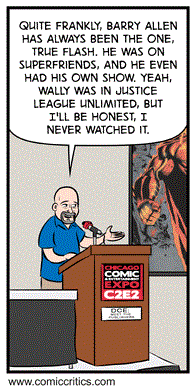 This entry was posted in Opinion and tagged C2E2, Change, Dan Didio, Iconic, New 52, Wally West, Writing on April 23, 2012 by Kelson. DC released a lot of information over the weekend in San Diego, which I’ve pieced together from CBR, Newsarama, and reports from fans’ conversations with Dan Didio, Francis Manapul and others. This entry was posted in Flash News and tagged Barry Allen, Brian Buccellato, Dan Didio, Francis Manapul, Iris West, Mob Rule, New 52, Rogues, SDCC, SDCC 2011, Wally West on July 24, 2011 by Kelson. DC’s New 52: Flash is About the Uniqueness of Barry Allen. So Long, Wally West. DC has four sessions on The New 52 at Comic-Con, and it sounds like they’re presenting on a different chunk of their line each day. The Flash wasn’t in today’s presentation, but people asked about it during the Q&A session. More specifically, people asked about the fate of Wally West, and for once, Dan Didio actually gave a straight answer. The series focuses on the uniqueness of how someone who moves and thinks near the speed of light lives. As you might imagine, I have some thoughts on this. I’m going to save them for later so that I can collect them properly. This entry was posted in Flash News and tagged Barry Allen, Dan Didio, New 52, SDCC, SDCC 2011, Wally West on July 21, 2011 by Kelson. — Comic Bloc message board poster Stephen Henel writes on DC’s approach to “Where’s Wally?” inquiries in a discussion of Flash #10. This entry was posted in Opinion and tagged Dan Didio, Quotes, Wally West on April 29, 2011 by Kelson.